As the summer season is on its peak, every girl must be searching for comfy and smooth cotton fabric kurtis to play right in trend. Of course, in such a hot weather, nobody can even think to style or dress up heavily while stepping out from their home as it’s only smooth and comfy fabric, which is one of the topmost priorities. However, what if you get a balance of comfortability and style? Well, yes the prime solution to this question is stylish and soft cotton kurtis to beat the heat. To make it easy for you while shopping for the cotton kurtis, we have curated a list of the 7 summer style kurtis that every girl should have in their closet in this summer season. 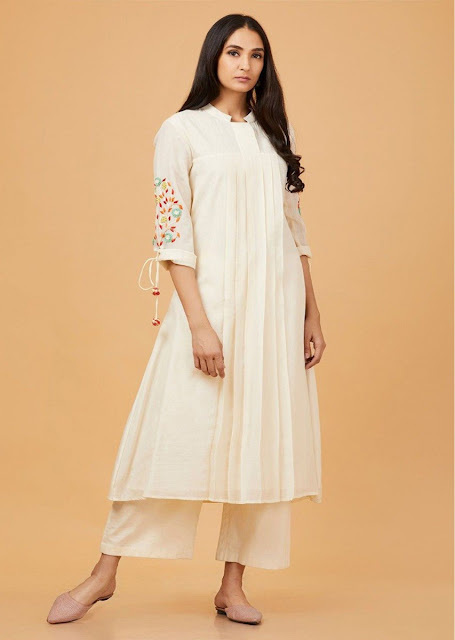 Presently, white kurtis are absolutely loved by all the ladies, especially in the hot summer season. The asymmetrical style white cotton kurti is a perfect addition for your closet collection. The ravishing tail of the asymmetrical kurtis is what makes them different from the other styles. The vibrant and bright light green color in long kurtis can make your boring day a beautiful one. 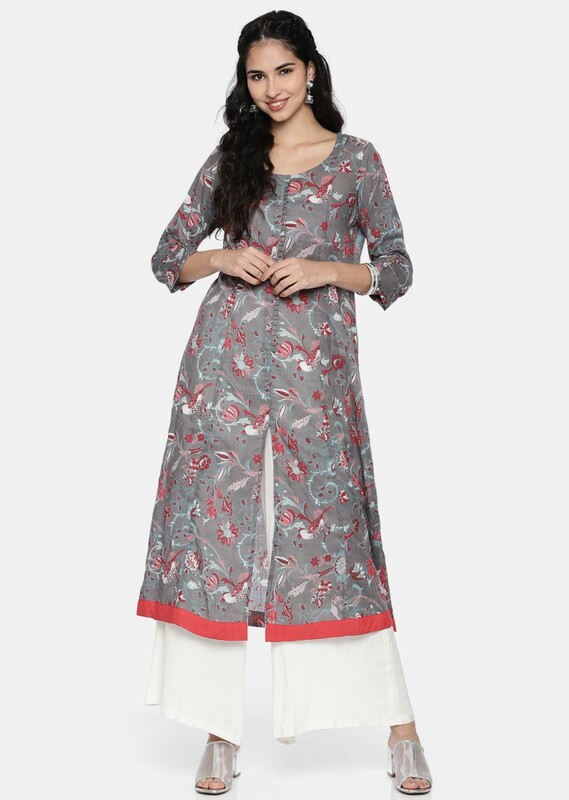 The freely flowing style of this kurti along with the comfortable and smooth cotton fabric is definitely breezy and cool. 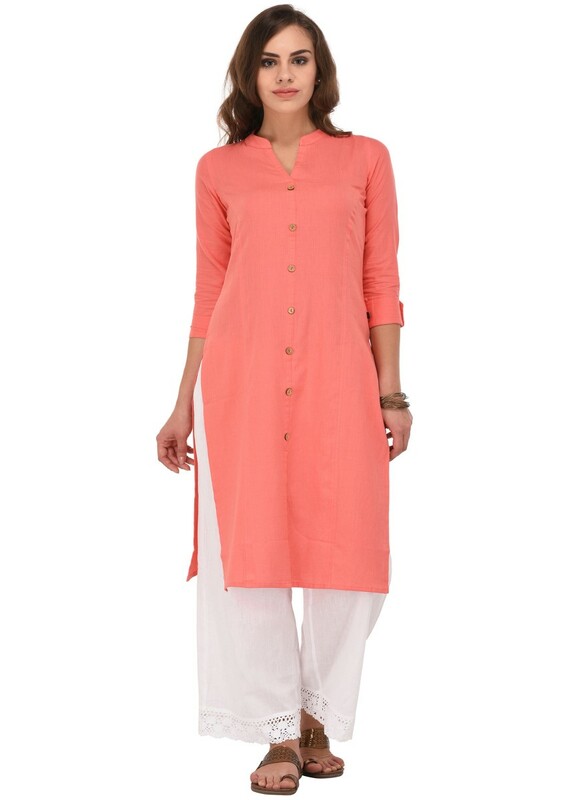 To pair this casual cotton kurti, you can prefer to wear it with flats or bellies. As light shades in summer season are preferred by all the girls, thus it’s important to keep in mind that the kurti color should be in the light shade just like this peach cotton kurti. Simple and gorgeous straight style peach cotton kurti can perfectly be teamed up with white or off white palazzo or any other bottom wear. If you are a fashionista and love to wear modish garbs, then you should go with this front slit style cotton kurti in grey color. Nowadays, front slit kurtis are extremely prominent, which can easily be teamed up with palazzos, narrow pants or leggings. This stylish kurti in cotton fabric and stunning prints can make your ordinary look an exceptional one. The lightweight cotton fabric and bright pink color is a perfect combination for summers. 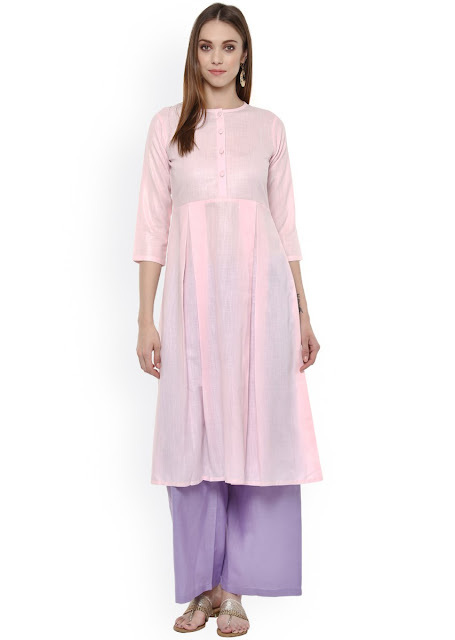 To stuff your wardrobe with elegant and graceful cotton kurtis, you should buy light pink Anarkali kurti in some voguish designs and variations. From simple to a designer and cheap to expensive, you can get a wide range of collection in Anarkali cotton kurtis. Apart from white kurtis, you can also pick and choose off-white long kurtis to make your regular casual wear a little bit zingy. 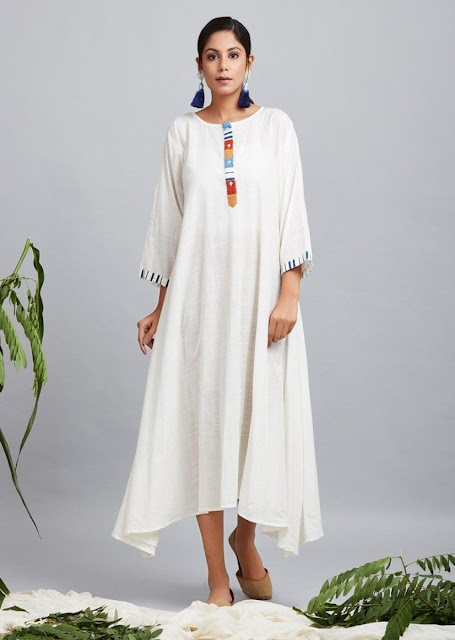 To add an oomph factor in your entire appearance, you should definitely pick the beautiful and pleasant off-white cotton kurti in a long loose style. To pair such long Kurtis, the best way is to pair it with flats, bellies or high heels for a gorgeous look. Tulip style kurtis is one of the great choices if you are looking for sassy and adorable cotton kurtis in the latest fashion trends. 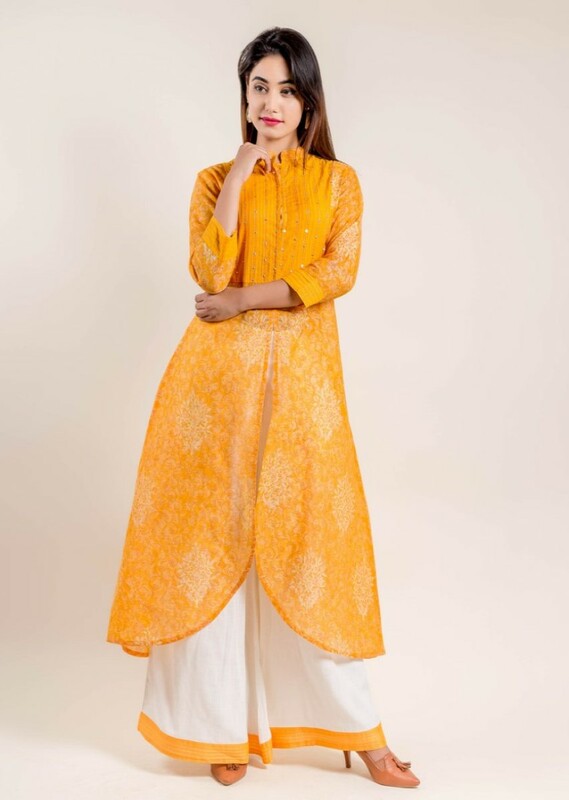 Additionally, the bright yellow color in tulip style kurti will look absolutely exquisite and gorgeous on every girl. While styling this kurti, it advised to pair it with stilettos or flat toe sandals, elegant jewelry and light makeup to rock the casual Kurti look. 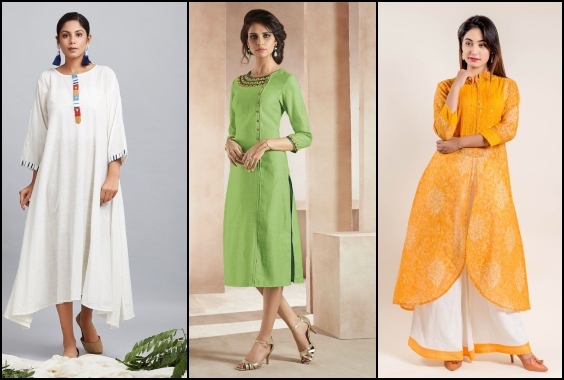 Henceforth, these were the top 7 cotton kurtis that need to be in your closet this summer. If you also know some other type of cotton kurtis that every girl must look for while shopping, you can let us know in the comments below.